Many locates and background investigations are time sensitive. Whether an investigator is trying to find a missing person or hire a new employee, time is money. 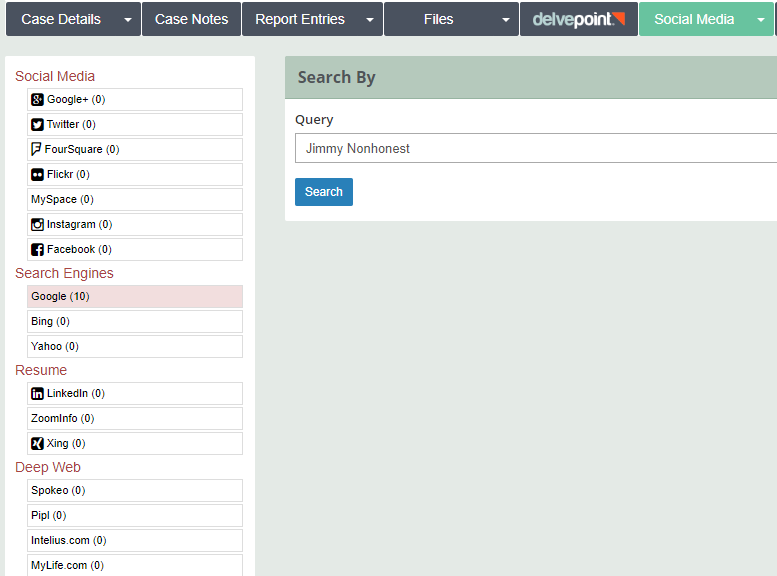 Run searches and upload the reports to the system. Create case notes with leads to follow up on or tips obtained during the day. A database integration that allows investigators to run searches and find information fast. Generate invoices and email it to the client. Run a report that shows an investigator’s time and expense amounts. Track and bill for all of your time spent while doing administrative case work. If you have multiple investigators working on multiple things, being able to collaborate is imperative. If another investigator needs to jump in and work the case, get them up to speed quickly. Save yourself and the client time by providing the most efficient investigation possible. Even the best of project managers will lose track of the conversation. With CROSStrax, however, you can keep the conversation in one place. Update your client, and give them access to a private dashboard to request information, read updates, send out new developments, view invoices, and more.